CALGARY - Alberta's biggest city just keeps growing and growing. The 2014 Calgary municipal census shows Stampede city's population went up by 3.3 per cent, or more than 38,000, from April 2013 to April 2014. It's the largest ever yearly increase for a city which now sits just shy of the 1.2 million mark. The census shows 28,000 more people moved to Calgary than left, while the birth rate was higher than the death rate by nearly 10,500. In other words, 77 people moved to the city each day, on average, over a 12-month span. The census found Saddleridge is the community with the largest population increase of 2,373. “Now we’re seeing about 58 per cent of growth happening in new neighbourhoods, and about 42 per cent happening in existing neighbourhoods, which is a huge shift,” Mayor Naheed Nenshi told Global News. 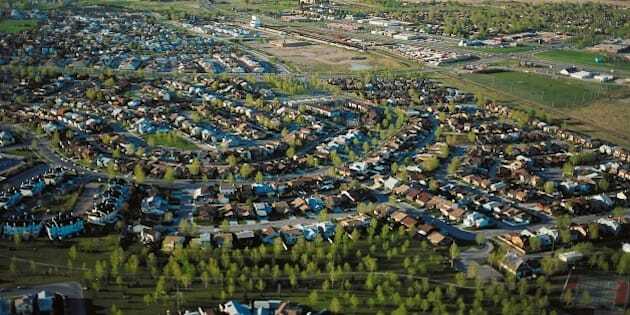 Even communities outside city are growing rapidly, including Chestermere, which saw its population swell by nine per cent to more than 17,000 last year. Separate analysis shows Calgary's vacancy rate is two per cent and that the majority Calgarians choose to drive, with nearly 70 per cent of commuters taking their vehicles to and from work.